"United States cannot kill, jail or occupy all of its adversaries." 1. The US is welcoming the opening of the Taliban embassy in Qatar to begin formal negotiations to end the Afghan conflict. After resisting it first, Afghan President Hamid Karzai has also given it a lukewarm reception, according to NY Times. 2. 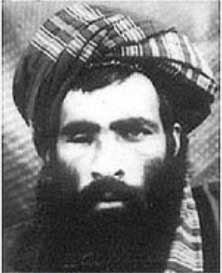 The names of the Taliban leaders, including that of Mullah Omar, have been removed from the FBI's Most Wanted terrorists list. A UN panel removed 10 Taliban along with 35 Al-Qaeda members and affiliates from its sanctions terror list. 3. Vice President Biden has said publicly that the Taliban is not "our enemy". He added that the U.S. is supportive of a reconciliation process between the Afghan government and the Taliban even if it's questionable whether a reconciliation is possible. 4. The US drone strikes have seen longest pause since the November border incident that resulted in the tragic killings of 24 Pakistani soldiers by the US military, and the US-Pakistan relations plunging to a new low. The US supply routes to Afghanistan through Pakistan are still closed, raising doubts about the future of continued NATO presence in the region. 5. The State Department is talking about restoring full cooperation with Pakistan as early as possible in 2012. “We desire a closer, more productive relationship with Pakistan both militarily and as well as politically. And we’re constantly working to build that closer cooperation,” the State Department spokesperson said recently. Pakistanis have consistently pressed the US for a long time to end its Afghan policy of "fight and talk", and to focus more on talking and less on fighting. Instead of seriously listening to the Pakistani advice, the Obama administration, supported by the western media, has been accusing Pakistan of playing a double game, and urging it to declare war with all of the Taliban. It's not clear what the final trigger was for the change of heart in Washington. Could it be the highly symbolic killing of Osama Bin Laden in May, 2011 that quenched the thirst for revenge for 911 attacks? Or the rapid deterioration of relations with Islamabad, a key ally in the US war in Afghanistan? Or a belated recognition of the futility of war after spending hundreds of billions of dollars with no end in sight? Is it the continuing economic slump in the United States forcing deep budget cuts at the Pentagon? It could be any or all of these reasons for the policy shift in US history's longest war. An earlier shift in US policy toward reconciliation would have saved thousands of American lives and tens of thousands of lives of innocent victims in both Afghanistan and Pakistan; but the shift is still welcome. It's better late than never. Hundreds of cargo containers of Canadian war supplies are stranded in volatile southern Afghanistan, thanks to an ongoing Pakistani blockade of routes exiting the landlocked country. And with Pakistani officials preparing to impose steep tariffs on all NATO shipments transiting the country, the cost of Canada's withdrawal from Afghanistan could increase by more than a half million dollars. The Canadian Forces are trying to bring home thousands of tonnes of war equipment used during the nearly 10-year combat mission. Packed into some 446 sea containers, most of this cargo is currently stored at an undisclosed location in Afghanistan. High priority items — such as all armoured vehicles and ammunition — have already been flown out of Afghanistan on Canada's giant CC-177 Globemaster transport aircraft. Nevertheless, much of the army's gear remains stuck in Afghanistan, Lt.-Col. John Nethercott told Postmedia News. He said the remaining items are "low priority in nature," and include tools, tents, forklifts, barbed wire and engineering equipment. The Department of National Defence has granted a contract to move the containers from Afghanistan to Pakistan to A.J. Maritime, a Montreal-based freight forwarding firm. It is believed the remaining 446 containers were supposed to exit Afghanistan's southeastern border post at Spin Boldak, then cross the deserts of Balochistan to the port of Karachi. Once at the port, the containers would be loaded onto ships for the sail home to Canada. But Imran Ali, Pakistan's deputy consul general in Toronto, told Postmedia News Wednesday that the Afghan-Pakistan border is shut tight for now. "No containers are passing as of today," he said. "There is a total sealing of the border." Ali said this problem began when United States forces bombed two Pakistani border posts in late November, leaving 24 soldiers dead and 13 wounded. After a day of frenzied meetings about the "unprovoked attack," Pakistani officials announced they would take steps to disrupt NATO supply lines in and out of the Afghan theatre. "The (Defence Committee of Cabinet) has decided to close with immediate effect the NATO/ISAF logistics supply lines," said a Nov. 26 statement by the Pakistani Foreign Ministry. Following the closure of the border, Pakistan began a comprehensive policy review of its relations with NATO. Ali said the national security committee of the Pakistani parliament is "in the final stages of drawing out a policy" that will be published within three to four days. Ali said Pakistan is considering levying a tax on all NATO containers passing through the country, and that officials have discussed a $1,500 U.S. charge per shipping container. "Customs officials, along with foreign policy officials in Pakistan, are discussing the amount of levy to enforce," Ali said. Such a tariff, applied to 446 containers, would cost Canada some $660,000 U.S.. US sanctions could cripple the Pakistani economy to a far greater extent now than the previous sanctions. Our finance minister is right we need to cut off all ties with taleban. Our army is totally confused when swat was captured by taleban they were worried and quickly took action against them. Now again they want to use some groups of taleban. Taleban is primitive and will destroy the fabric of pakistan. Pakistan`s ambassador-designate Sherry Rehman arrived in the US capital on Saturday to represent her country in an environment that has turned from friendly to hostile in less than a year. On Friday afternoon, the US State Department, which looks after America`s relations with other nations, also noted that “Amb Rehman does indeed come at an important time”. The department`s spokesperson Victoria Nuland described US-Pakistan relations as “challenging and difficult” but assured the new envoy that the United States wanted to rebuild its relationship with Pakistan. “We`re looking forward to having her here in the United States,” Ms Nuland said. “We will, obviously, make clear to her that we consider this relationship extremely important,” she said. “We continue to believe that the United States and Pakistan and citizens throughout the region have an interest in the closer cooperation of our countries, and particularly in defeating the threats that challenge us both, and particularly the threat from terrorism,” Ms Nuland said. The statement, although brief, highlights the dilemma that the United States faces in defining its relationship with Pakistan. Pakistan is seen in the US as a strategically important country, particularly in the war against terror. But at the same time the Americans are reluctant to trust Islamabad. The Obama administration, however, made a major goodwill gesture by expediting the endorsement process for Ambassador Rehman. Her papers were cleared and sent back to Islamabad in two weeks, although usually this process takes at least a month if not more. Last week, the US administration informed Pakistan that they can arrange for Ambassador Rehman to present her credentials to President Barack Obama either on Jan 17 or 18. Accordingly, the State Department arranged a series of meetings for her with senior US officials before she meets the president. This forced Ms Rehman to come two days before her scheduled arrival, cancelling a planned stopover in London. She will go to the White House on Jan 18 to present her credentials, although sometimes ambassadors have to wait for months for an audience with the president. But these goodwill gestures do not hide the problems Ambassador Rehman would face while discharging her duties in Washington. The immediate problem that she is likely to face revolves around her predecessor, former ambassador Husain Haqqani who was forced to return to Islamabad and resign after his alleged involvement in crafting a memo that seeks US support for reining in the Pakistani military. On Friday, the US State Department took a strong stance on this issue, urging Pakistan to ensure a fair treatment of the former Pakistani envoy and warned that “we`re watching”. The warning, however, is unlikely to scare those pursuing the so-called `memogate` case and could add to Mr Haqqani`s unpopularity at home. And this could further vitiate an already tense environment that Ambassador Rehman as well. As a PPP leader, she will be expected to side with Mr Haqqani but as an ambassador she will have to maintain a neutral stance. To succeed where her predecessor failed, Ms Rehman will have to make US officials believe that she enjoys the support of both civilian and military establishments. The lull in drone attacks is not good for Pakistan as the talibans will only screw Pakistan more. “My Guantánamo Nightmare,” by Lakhdar Boumediene (Sunday Review, Jan. 8), is a chilling reminder that most terrorist suspects imprisoned at Guantánamo were released without ever being charged — but not before suffering the physical and emotional pain of abuse such as stress positions, sleep deprivation and the gnawing uncertainty of indefinite detention. In our 20 years of examining torture victims, we have seen few as traumatized as the several Abu Ghraib, Guantánamo and black site (secret prison) detainees whom we evaluated. They deserve an apology and our help. Sadly, now that President Obama has codified indefinite detention by signing the National Defense Authorization Act, there will be many more torture victims to come — both at our hands and the hands of despots who follow our example in the name of national security. U.S. Ambassador to Pakistan Cameron Munter doesn’t beat around the bush: America’s relationship with Pakistan — a vital ally in securing Afghanistan’s fragile stability — has deteriorated. And when it comes to mending those frayed ties, Munter is even less sentimental. “If we’re going to get out of what has been a very tough period, it is going to be because both countries decide they’re going to look at something bigger than themselves,” Munter said at Harvard Kennedy School (HKS) on Monday. Both sides need to ratchet down their emotions, he said. Munter’s assessment, which he shared with a packed hall of HKS students and Mideast observers, came at the close of what he called “a very tough year” for the United States in Pakistan. In the beginning of 2011, the arrest and negotiated release of Raymond Davis, an American CIA contractor, caused bad blood on both sides. Two months later, an American drone strike killed nearly 50 people in North Waziristan. And not least of all, the killing of Osama bin Laden by American troops in Islamabad last May was taken as an insult to the Pakistani military, Munter said. In part, America’s recent failures in Pakistan stem from overpromising, Munter said. Americans, sensitive to Pakistanis’ lingering feelings of betrayal, developed a set of goals for development in Pakistan in 2008 that encompassed everything from women’s rights to water resources to telecommunications. Those lofty plans too often fell by the wayside as America pursued its military goals in the region. The relationship between the two countries’ militaries has suffered, and “our military presence in the country has shrunk dramatically,” Munter said. American diplomats must also account for the rising generation of Pakistani generals, part of the “lost generation” who were cut off from American training, who are “less familiar with American traditions” and perhaps less likely to see eye to eye with their Western counterparts. Still, Pakistan has shown its commitment to fighting terrorism. The country has experienced huge losses fighting insurgents at its own borders — nearly 4,000 troops and between 30,000 and 40,000 civilians, according to Munter. Pakistan received a severe snub from US President Obama at the NATO summit that recently concluded in Chicago. Pakistani political analyst Naveed Ahmed talks about the reactions in Pakistan and the implications. Naveed Ahmed is a political analyst and investigative journalist in Pakistan. DW: How has Pakistan reacted to the summit in Chicago? Well, there is a clear-cut position that Pakistan is not going to continue any business with the United States or NATO, for that matter, until they offer an apology. And that was clear in the statement given by President Zardari in Chicago. On the face of it, this is the situation and people are buying it. If Zardari has given any commitment, he is not in a position to fulfil it. The reaction is otherwise very calm, no US flags are being burnt. There was a fear that Pakistan may succumb to US pressure, but this NATO summit has proven that Pakistan can withstand the pressure. The foreign minister also said that Pakistan would seek an apology and then look further. President Obama did not conduct bilateral talks with President Zardari. Does Pakistan see that as a snub? How has the media reacted? Again, Asif Ali Zardari's departure to Chicago was criticized in Pakistan because it was a last-minute invitation and he should not have gone. In fact, they should have sent the foreign minister there. And if President Obama did not meet Zardari, it is a kind of embarassment for the Pakistan People's Party in the political point-scoring game in parliament. But on the streets, it does not matter because there is a consensus that there will be no business with the US until our concerns or demands are addressed by the American administration. What demands does Pakistan have? For NATO relations to normalize, Pakistan is seeking an apology from NATO and the US for the killing of 26 Pakistani soldiers , who died when US troops leading a NATO convoy attacked Pakistani troops last November. Second, the US and NATO should end their drone attacks inside Pakistani territory. Third, there should be a clear-cut agreement as to how and under what conditions Pakistan should allow NATO supplies through its territory. Since Musharraf gave access to NATO troops in 2002 this has taken place through verbal agreements but there is nothing in writing. Pakistan does not earn any transit fees. Pakistan charges about $5000 per container and there is talk that NATO is ready to pay $1500. What will Pakistan's role be after the NATO troop withdrawal from Afghanistan in 2014?